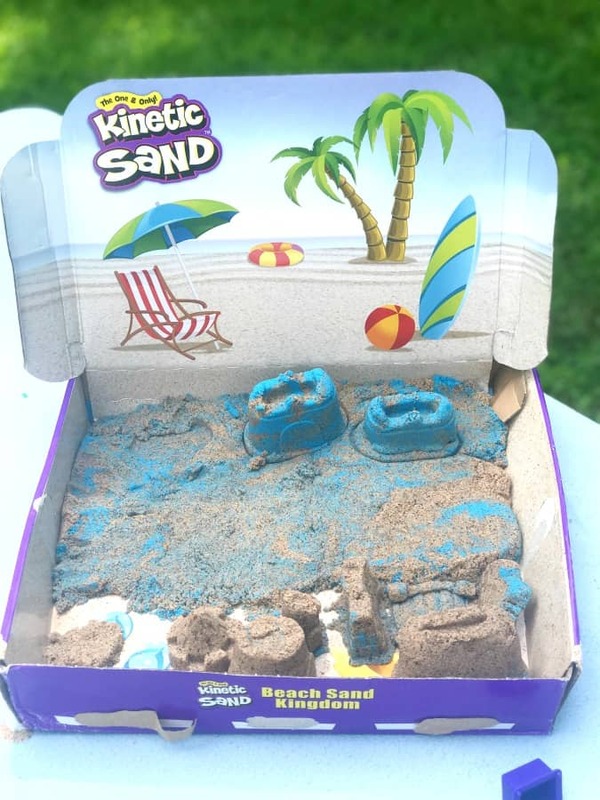 The One and Only Kinetic Sand- Rated by kids, for kids is sponsored by Spin Master. 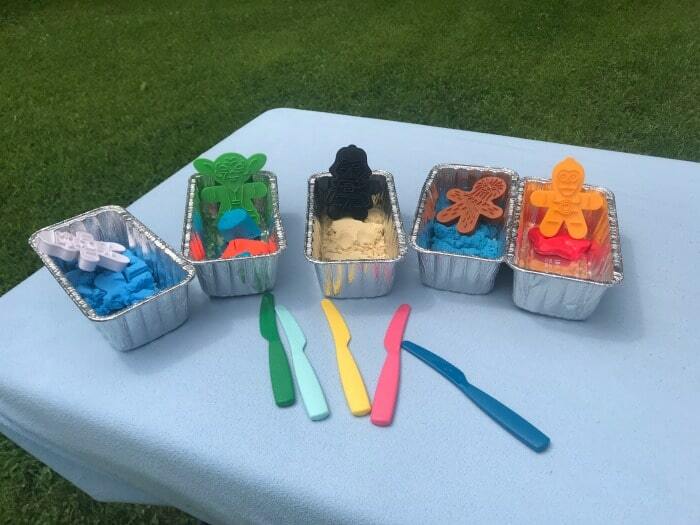 We recently signed on to do the Kinetic Sand throwdown! Tasked with testing how a variety of products stood up to kids’ play, we decided that we’d do a little video and set up the three mini Martin kids to play, test, mold, stretch and do all the things that kids do with moldable products. For reference- my kids are ages 13, 11 and 9. Products included in the challenge were labeled as ages 3+ except for one, which was 2+. As I write this post, 2/3 of my minis are outside playing with some of the test materials yet again, as they’ve been doing almost round the clock since we did the challenge. 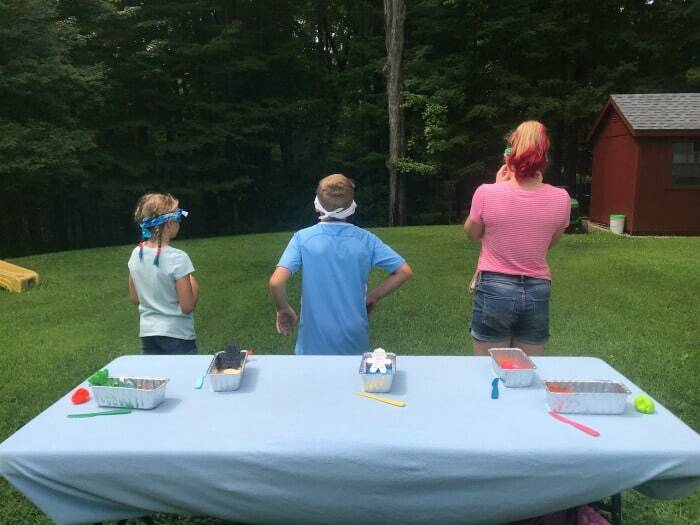 The kids explored each product in both a balloon and container, all while blindfolded. Five mini ‘stations’ were set up on the folding table outside to test the five different products (just in case of a big mess, plus Dad was home and he would send us right outside if we started indoors…). Kinetic Sand: Kinetic Sand stimulates children’s creative skills, allowing them to create anything they can imagine over and over again. 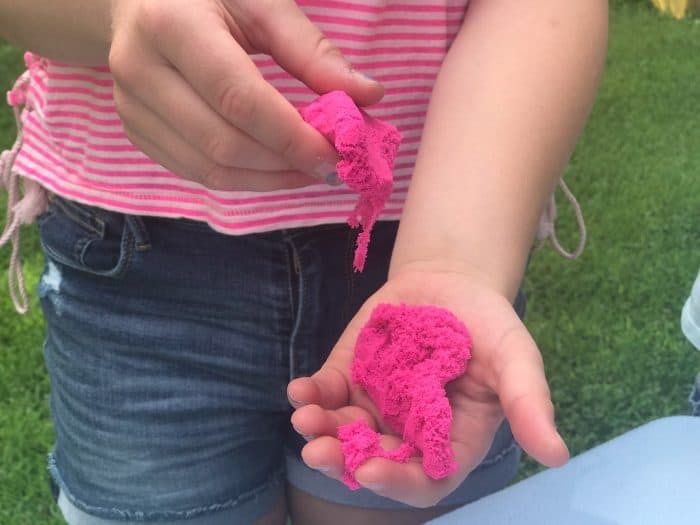 With Kinetic Sand, you can make whatever you dream of with a giant array of multi colored sand, from brilliant neon colors to shimmering metallic ones that sparkle and shine! It’s the squeezable sand you can’t put down. My kids know Play-Doh by smell instantly. Gak is like slime, and slime is super fun, but it really doesn’t stay in a molded shape well. It also comes in tiny containers. The National Geographic Ultimate Dino Sand playset includes actual prehistoric dinosaur poop and that will become a topic of conversation at many meals after this discovery. Stuff that is moldable and squishy and stretchy is FUN. Period. All products win in that regard, and color doesn’t matter when you’re squishing and molding things. Not all molding products are created equal. Although all of the products had great play value, offered a sensory experience and all worked pretty much as promised… there was a favorite! Watch our video below and see what the 3 mini Martins had to say about the brands we tested, exactly how we did the test and more! RESULTS ARE IN…DRUM ROLL PLEASE…. 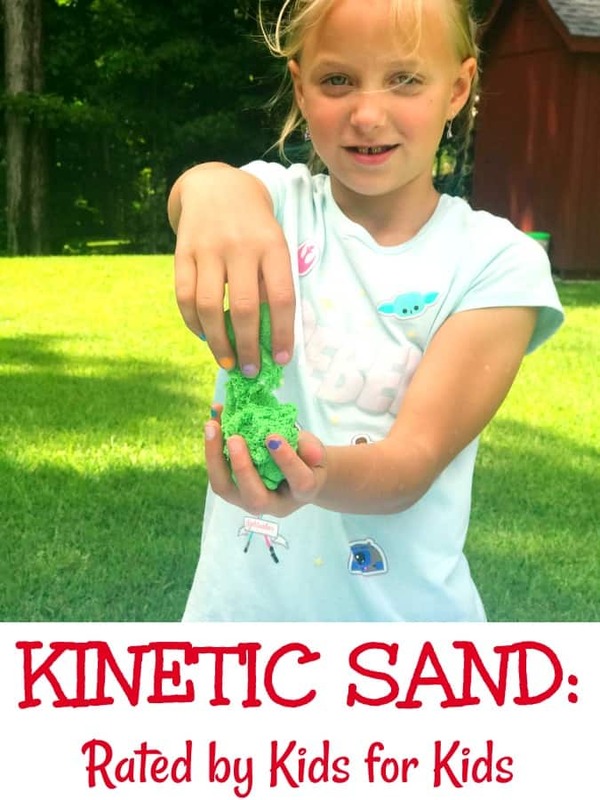 Truthfully, while there are many sensory toys out there, there is ONLY ONE Kinetic Sand and it’s made up of 98% sand and 2% magic – easy to shape, mold, and create incredible sand art. That 2% magic makes a big difference. In that 2% magic? Allergy free ingredients. That means kids with gluten, casein and wheat allergies can play with this 100% natural sand! As a mom, this makes ME happy. It means every kid can participate! Kinetic Sand also can help with fine motor skills as a sensory toy. (It can also be a great sensory stress relief toy for parents). We have plans to purchase a few packages for the kids’ classrooms because this stuff is super fun to play with…and super easy to clean up. I live with a man who despises going to the beach because sand comes home with us and sticks around for all of eternity. THIS sand? It’s magical. Cleans up like a breeze and doesn’t stick to hands, or surfaces, or the cracks between hardwood floor planks. 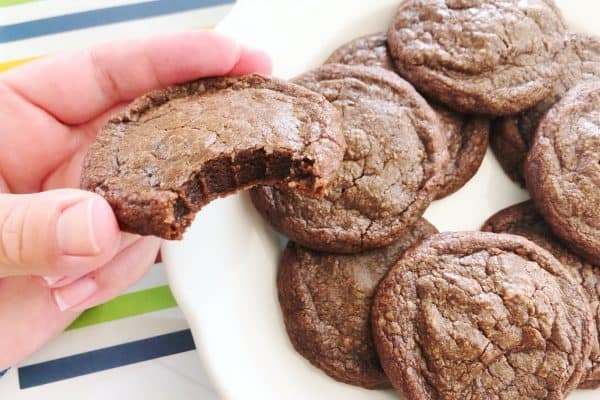 I don’t have to cringe every time someone drops a bit on the floor or uses a cookie cutter or mold with teeny intricate parts because I dread trying to remove the product from the molds. It’s easy cleanup. Plus, Kinetic Sand doesn’t dry out. Like, ever. That’s some long-term playtime for kids of all ages, in a whole lot of package sizes to suit any budgets! Think how fun those midwinter beach parties will be in classrooms and church groups when you break out a big old package of Kinetic Sand (or three) and let the kids build sand castles! This is going to be a go to gift and donation during toy drives for many years to come. It inspires kids to be creative, gives them sensory input, allergy free, requires no batteries, doesn’t dry out and doesn’t make the adults crazy with cleanup. It’s great for a huge range of ages and a hit with boys and girls alike! My kids love kinetic sand. They begged me for it one year and I finally gave in and I don’t even know what happened to it lol. What a fun challenge to do with the kids! That would be fun for home schooling too. I need to do this with Peanut. 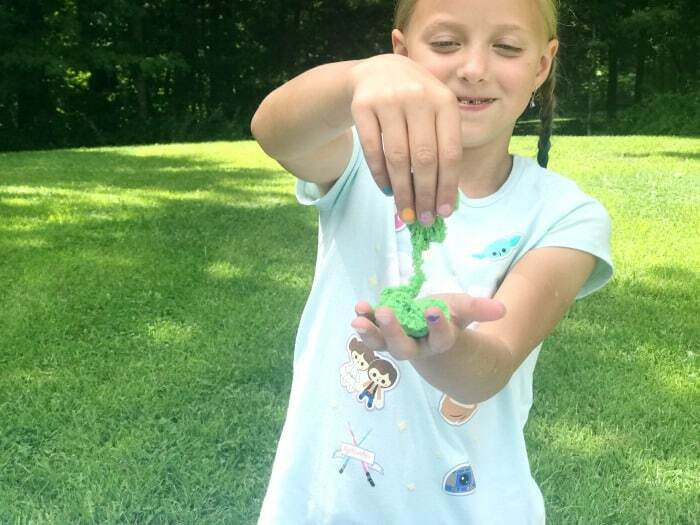 I know she would love the kinetic sand – she plays with some at my moms house. its a great stocking stuffer for littles, too! Lots of fun colors and all sizes for containers. The Kids seem to be having a lot of fun with Kinetics Sands. It is something that is really entertaining and engaging for the kids. Slime is of course all the rage, I am sure. What a fun challenge to do with the kids! It’s definitely something that they’ll enjoy! Kinetic sand is also such a nice toy. Talk about a day packed with fun! This will be very exciting game for kids. It sounds so much fun and full of thrill. Oh my gosh I love that you did all that to rate them! We JUST got my son kinetic sand for his birthday two weeks ago and we all fell in love. It’s so fun and we keep trying to come up with new ways to use it! Call me a kid but I LOVE kinetic sand!! I think it’s so fun to play with!! LOL!! I LOVE kinetic sand and how fun it is to play with! 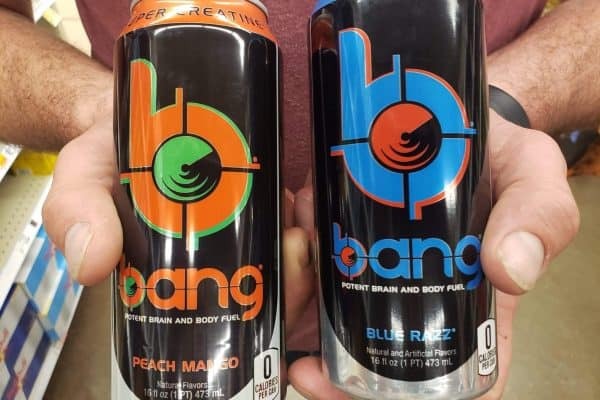 This brand is definitely one you can rely on. It’s a nice gift idea for the kids, perfect for sensory play as well. This is amazing! My kids would LOVE this. They absolutely love stuff like Kinetic Sand. This is an awesome roundup!!! So cool that you tested so many… I know my kids would LOVE it if we did that too. And also… good to know! My kids love molding products like this. We have kinetic sand at home and the kids love it. And I love that it’s way less messy than other products in the genre. This looks like so much fun. My kiddos would have a wonderful time playing with this. I can’t wait to pick some up for them. Now this sounds like a fun challenge to take on. Bet the kids had a blast playing with the sand. Sure more and more people will be taking this fun challenge. My daughter loves Kinetic sand. She has some and will bring it out now and again. It is pretty cool. I’ve played with it a bit too. I like that it comes in different colors. This was agreat challenge and I would love to give some of this sand to my nieces and nephews. 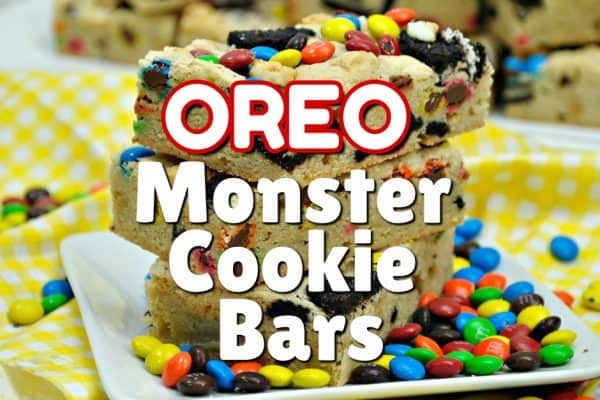 It is so good that it does not dry out like Play Dough and is made from allergy free material. We have some of the sand and I like it a whole lot better than regular sand obviously. And it is easy to clean up and it keeps It’s shape a lot better! It is always fun to play with. I love that the kinetic sand is made with allergy-free ingredients and that it’s easy to clean up. I need to add this to my list Christmas gifts for the grandkids. I know they would love it.